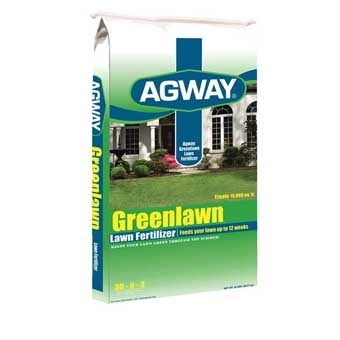 Agway Greenlawn Lawn Fertilizer is a long-lasting formulation of major plant food nutrients to help you grow a brilliant green, deep-rooted, luxurious lawn. Agway Greenlawn Lawn Fertilizer is safe to use anytime during the summer or fall and will spread easily with any type of fertilizer spreader. Feeds your lawn up to twelve (12) weeks.